Precision medicine approaches use individual cancer mutations as targets for new treatments, but ultimately understanding and targeting the origins of these mutations may be a more powerful strategy to prevent and treat many types of cancers. By studying collective patterns of mutations, researchers from the Wellcome Sanger Institute and their collaborators reveal the underlying processes that lead to cancer in a study published March 7 in Cell. Their comprehensive genomic analysis provides an essential resource cataloging cancer signatures across cancer types and models, while also generating novel insights into different mechanisms that generate cancer mutations. “Common mutational signatures indicate past activity of the underlying processes,” explains first author Mia Petljak of the Wellcome Sanger Institute. “Each mutational process… leaves a mutational signature imprinted on the genome.” Prior research revealed 50 such mutational signatures across a range of cancer types, but most of their underlying biological mechanisms have yet to be decoded. Petljak and colleagues leveraged recent advances in genetic sequencing technologies to comprehensively examine these signatures and their origins. In a tour de force, they sequenced 1,001 human cancer cell lines (from the COSMIC Cell Line Project) and 577 xenograft models (from the NCI Patinet-Derived Models Repository) most commonly used in cancer research. In particular, the team analyzed mutational signatures for clues as to when the mutations accumulated, and found that different mutational processes exhibited different time stamps. “Mutational processes show varying degrees of activity over time,” says Petljak. For example, some mutational signatures are uniquely caused by environmental exposures like UV light or tobacco smoke, which only operate during exposure. Others are characteristic of defective DNA damage repair and replication, which continuously cause mutations at a steady rate. Most interestingly, the researchers discover a third type of signature indicative of bursts of mutational activity, which turn on and off. These signatures are generated by APOBEC, a DNA editing protein involved in anti-viral defenses. “In the first systematic study of mutational signatures in cell lines over time, we found that the signatures previously associated with APOBEC enzymes were the only mutations that came in bursts of activity,” says Petljak. APOBEC associated signatures are common, present in 70% of cancer types, yet it is unclear why the protein turns on and off in cancer cells. “If we can determine exactly what triggers these mutational processes, it could be possible to avoid or limit that exposure, and thus help towards prevention of that cancer,” says lead author Prof Sir Mike Stratton of the Wellcome Sanger Institute. In living organisms, exposure to viruses or immune inflammation could trigger APOBEC activity, but in this study cells were isolated from such external influences, indicating that there must also be an internal switch. “The data suggest that the initiators of APOBEC mutagenesis in vitro are cell intrinsic and have intermittent and irregular activity. 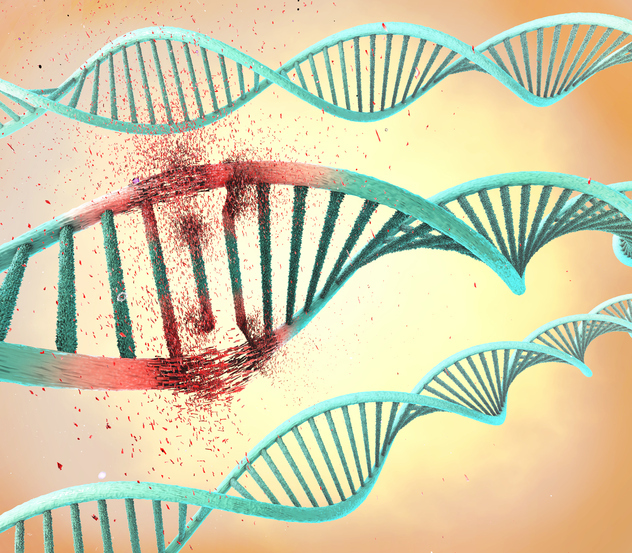 It is possible that these may also operate in vivo and may include modulators of availability of single-stranded DNA (ssDNA) substrate, changing access of APOBEC(s) to nuclear DNA and retro- transposon mobilization,” says Stratton. The study also provides the resources to further investigate this lead. “By annotating over a thousand publicly available cancer cell lines with information on mutational signatures, we have provided the largest ever resource for experimentally investigating the biological mechanisms underlying these signatures,” says Dr Peter Campbell, an author from the Wellcome Sanger Institute. “Cell lines that continue to generate APOBEC-associated, and other, signatures over time now provide us and other groups with a set of powerful tools to study root causes of human cancer – the origins of mutations,” says Stratton.